You know when you run into Target for bobby pins and leave with a brand new waffle maker? That’s sort of how this product landed in my basket. 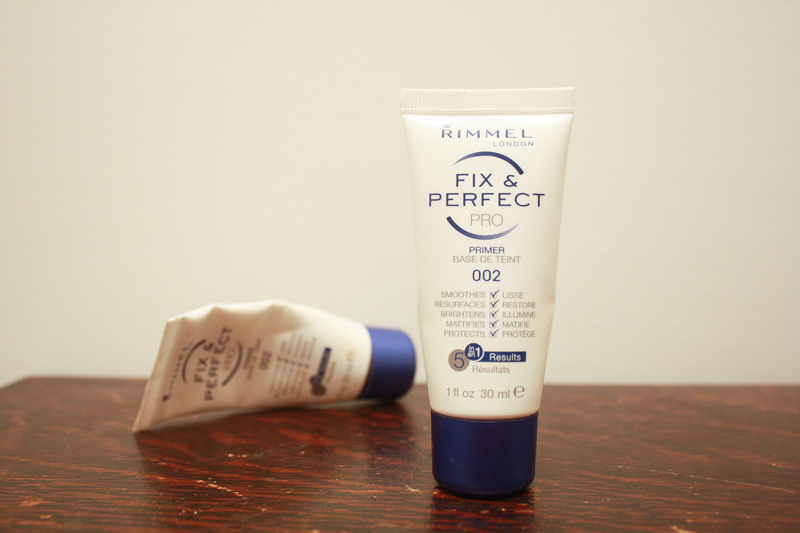 I use a fairly heavy moisturizer after washing my face in the morning, allow that to sink in for about ten minutes, and then follow it up with about a dime-sized amount of this primer for my whole face. The texture applies very similarly to lotion, which I love. Note: Under some of the drugstore liquid foundations I’ve tried recently I didn’t like it as much as I do under my bareMinerals powder foundation, and had to “powder my nose” a bit more throughout the day. I have combination to dry skin. I started accidentally collecting these recently. They’re generally what I grab for when I know I need lip color, but it’s a super swipe-and-go no mirror moment and I can trust it won’t look like a three year old tried to do my lipstick. They’re pretty moisturizing and glossy without being the least bit tacky or sticky -somewhere between a lipstick and a lip balm. The color lasts a fair amount of time for what it is and how much it costs, and the moisture lasts even when the color fades. The color does transfer with wear (onto coffee cups, straws, etc. ), but they never claim to be long-lasting. 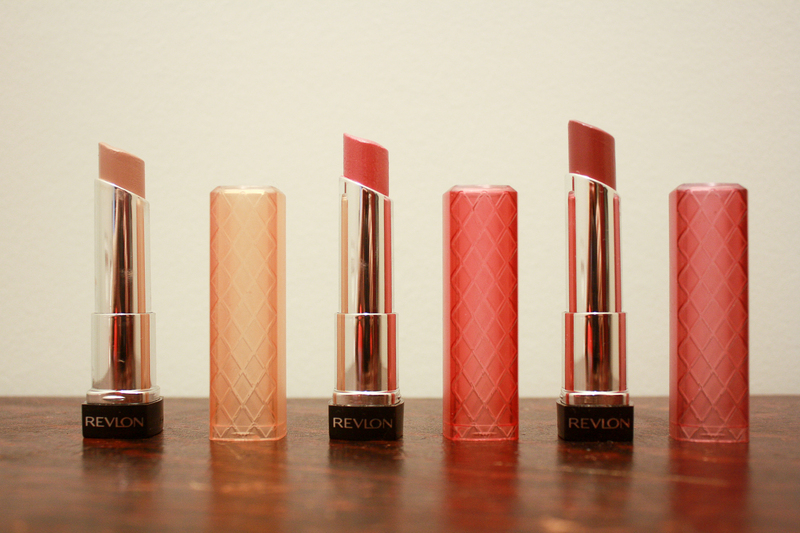 For simple makeup days when a fussier lipstick that requires more precision would feel like too much, these are my go-to right now. The Telescopic Mascara is one of my all-time favorite drugstore mascaras. It’s terrific for length on its own, but for a more dramatic lash I’ve started topping it with a coat of Lashblast for a boost in volume (both in black). This technique isn’t revolutionary, but I’ve found that these particular products and their terrific no-clump wands go really nicely together on my lashes when it’s a pull-out-all-the-stops full face makeup day. 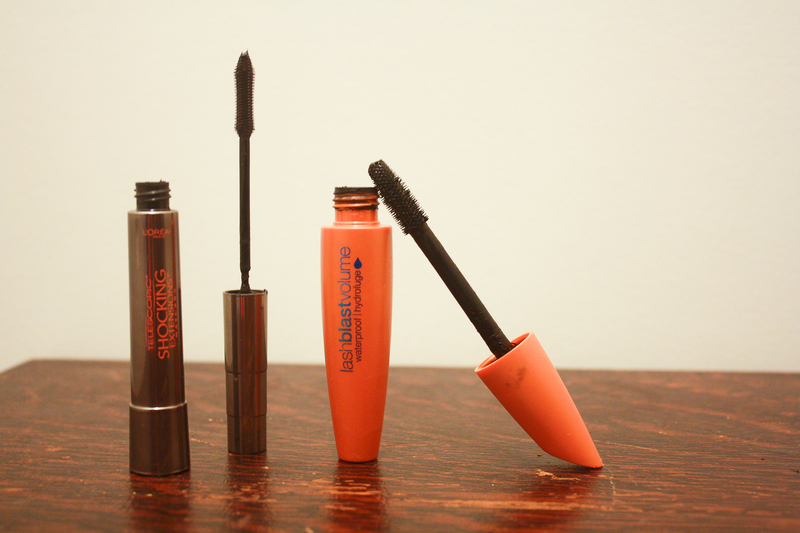 And if you’re looking for a drugstore waterproof mascara, Lashblast is practically the only one I’ll use. The consistency between the regular product and waterproof doesn’t change which is huge to me. It’s the same product with stronger staying power. I feel like the waterproof mascaras I’ve tried tend to be much messier with application, almost more watery themselves. Either of these are terrific mascaras, but the combination is an A+. 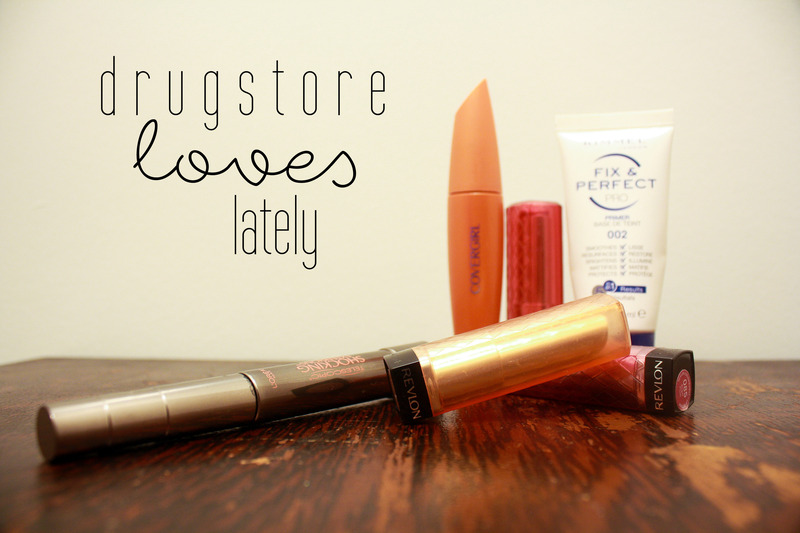 Have you tried any of the drugstore products I’ve been loving lately? It’d be great to hear how they’re working (or not!) for different people! Comment below or with the little talking bubble near the title. That’s a great idea, I might have to! 🙂 Thanks!